An insulated stainless steel reusable water bottle by Black+Blum. Made with high quality durable 18/8 stainless steel and a BPA free silicone ring and convenient carry vegan leather strap. 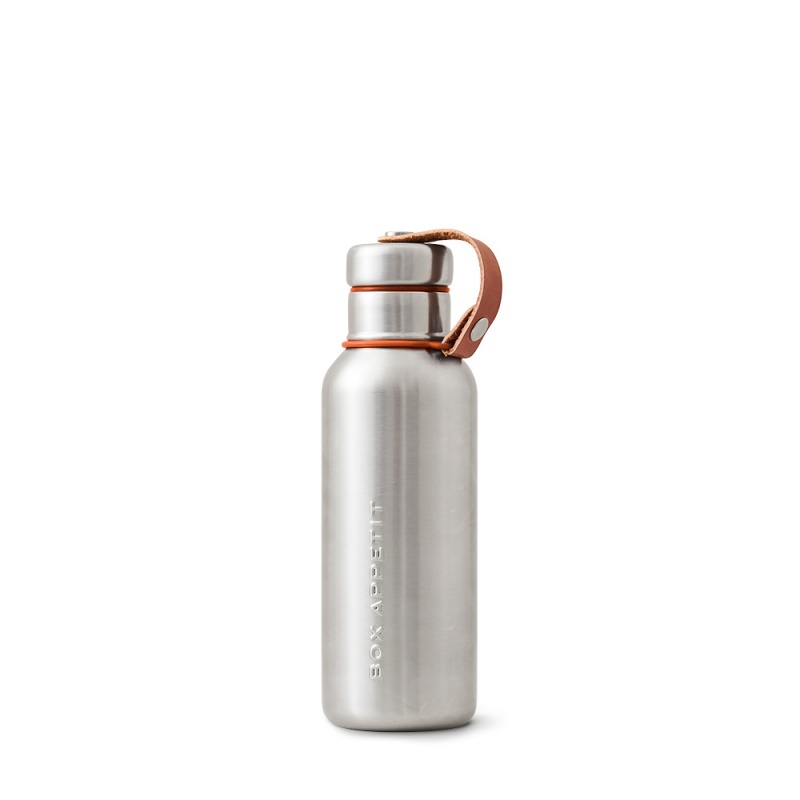 The lid and the canteen is completely stainless steel, meaning that your beverage on the go doesn't come into contact with any plastic and is completely BPA free. Choose either an Orange or Ocean (blue) silicone ring. This insulated water bottle will keep your drinks cold for up to 24 hours or hot for up to 12 hours. 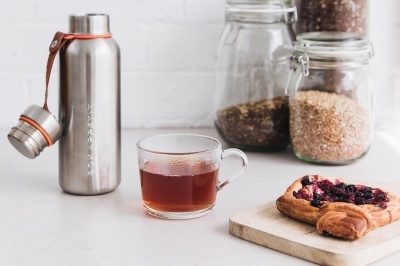 The lid and the canteen is completely stainless steel, meaning that your beverage on the go doesn't come into contact with any plastic and is completely BPA free. The canteen's design aesthetic is inspired by vintage enamelware and it has a timeless modern retro appeal. The insulated water bottle has an extra wide spout which is easy to load with ice cubes, one of Black+Blum's charcoal filter sticks or fruit. The leak-proof stainless steel screw cap is easy to open and close with a secure watertight seal. Join the refill revolution and reduce your disposable bottle usage. Clean your bottle with warm water and washing-up liquid prior to initial use and after every use. DO NOT immerse in water. Dry thoroughly after leaving it to drain. Always store vessel with the lid removed. Capacity: 500ml/17 fl oz of beverage filling space.